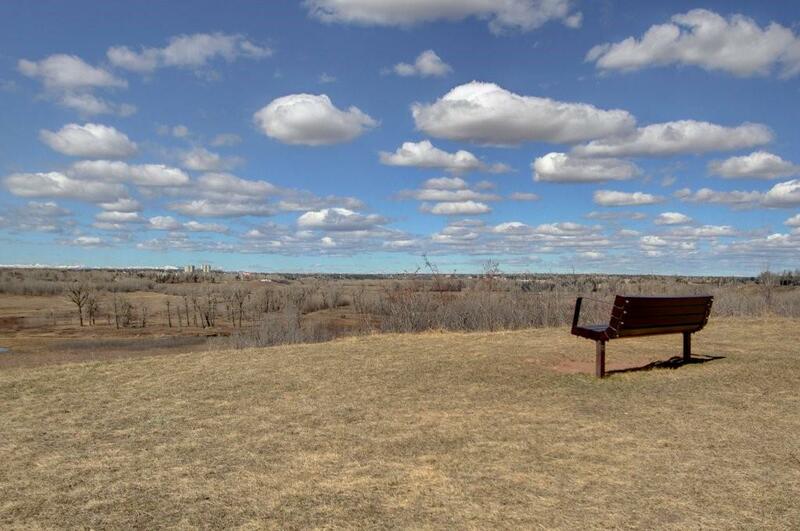 DESCRIPTION Amazing & arguably one of the best lots in Parkland backing Fish Creek w/spectacular mountain & river valley views from house, many decks, balconies & patios. Fabulous executive 3 bedroom plus upper den 2 St. recently upgraded w/large west back yard. Private front courtyard to foyer, immediate views & open stairwell. Wide open kitchen, custom cabinets, huge waterfall granite island, high end S/S appl. incl. 6 burner gas Viking stove, sub zero fridge/freezer, beverage fridge & all open to nook w/access to covering decking & views. Spacious L.R. & D.R., vaulted ceiling, hardwood flrs & views. Great F.R. w/lots of built-ins & corner travertine F.P. & access to recently placed aggregate patio. Large renovated laundry rm/mud area. 3 great size bdrms up & den (c/b 4th bdrm) w/access to huge upper balcony. Complete master reno w/corner F.P., 2 large closets, 5-piece spa & direct access to balcony & views. New kids’ bthrm too! Lower level rec rm, cedar closet & R.I. for bath. Truly a fabulous home. NOTE UPGRADES: New Roof (2017), New windows and doors on front of house (2017), new garage door & opener (2017), back & side aggregate (2018), regraded backyard & new grass (2018), removed sunroom structure (2018) bathrooms & mudroom (2017). One of 16 backing Fish Creek & Parkland’s most coveted streets. Enjoy Fish Creek, 2 renowned elementary schools, Parklands private community park with countless year round activities, including water park & tennis. Quick downtown access by LRT or Deerfoot.